You came back! Thank you for sticking with this important topic. Contracts aren’t fun to read or talk about all the time, but as one of the largest transactions you’ll enter in to during your lifetime, there’s never enough knowledge you can acquire about the legal side of buying and selling real estate. 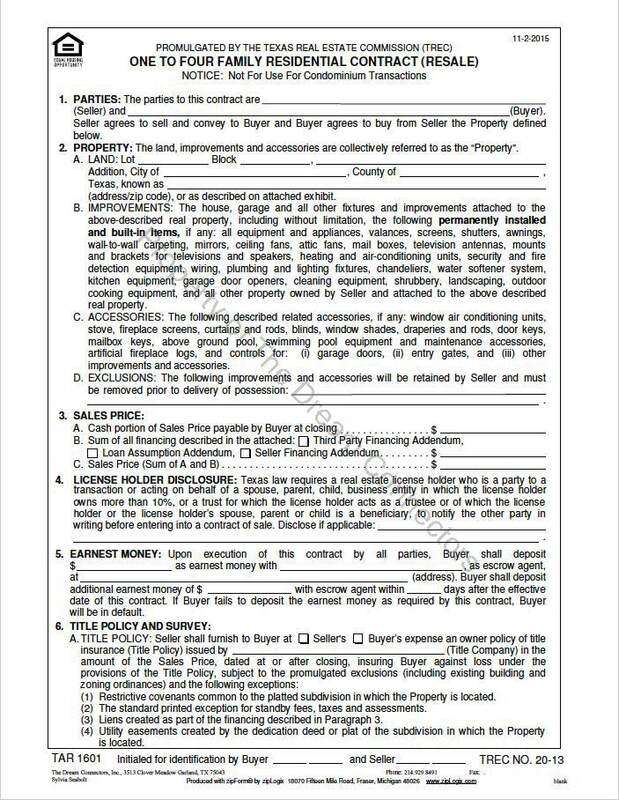 This section of a Texas real estate contract allows for disclosure of any ownership 10% or above that a real estate agent involved in the transaction might have directly or via immediate family or business entity. This section is required by law in the state of Texas. Next up, section 5, one of the most referenced phrases when it comes to real estate transactions, the Earnest Money. Earnest Money is a deposit of “good faith;” an honorable commitment on behalf of the purchasing party to show their intent to purchase the property. Earnest money is not required to purchase a property, but is quite common in Texas. The amount is negotiable, but will become part of the contract conditions once a contract is executed by all parties. It’s important to have earnest money turned in with the contract in order to avoid a breach of contract. The buyer will have the amount of earnest money credited to them at closing, which will reduce the amount of funds the buyer needs to have in order to close on the property. Great job everyone! Now, a word of warning. Next class is a doozy. We’ll spend the entire conversation on Line item 6, which on the actual contract, spans several pages with all of its sub-sections. I give you my dream connecting promise that I’ll break it down in quick and easy segments that will make complete sense. For now, take the rest of the afternoon off, and reward yourself with some house hunting right here, or dive into our wealth of resources about Lake Ray Hubbard, as well as area communities, schools, and neighborhoods. 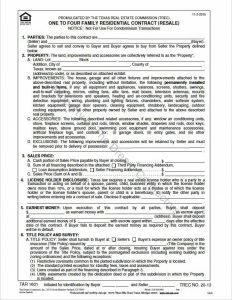 Texas Real Estate Contracts 101: Titles & Surveys.